We may need to crop and cut portions of an image for different reasons. Like cut the face picture from long image shot to be used as profile image on social networking websites. 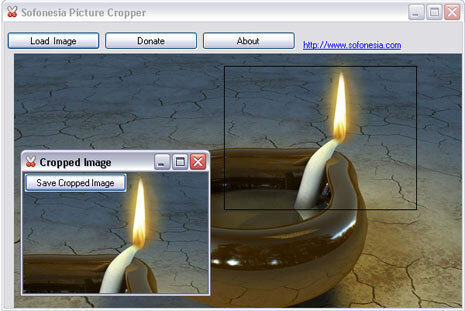 Picture Cropper is a free and easy to use tool to cut unwanted parts of an image and focus on specific part of an image. 1. Download Picture Cropper program and install it. 2. Launch the program, Click Load Image button & select an image. 3. Selected image should appear in the viewer. 4. Using mouse select any part of image. 5. Selected part will appear in separate window. Click “Save Cropped Image” button to save selected part of image. You can make multiple cropped selections from the same image in this program. Best part, it is simple to use program with no feature hog to confuse user trying to crop an image.